With rain drip tray. 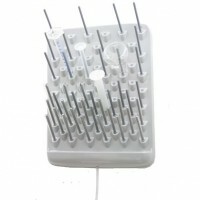 Includes 72 mounting holes, 42 repositionable pegs, 30 hole covers. 620 high x 490 wide. Ea.